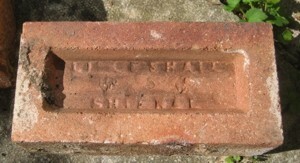 Prior to the 21st century, there were many brickyards in North Shropshire. 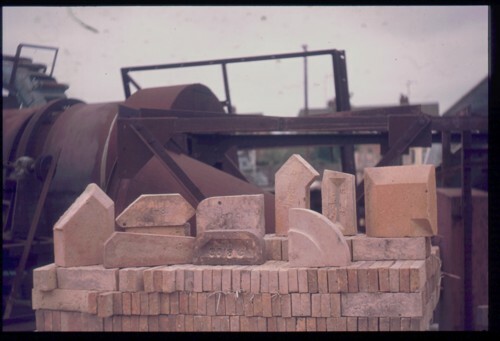 Many towns with clay deposits produced bricks. This was largely a set of independent small works. Clay was dug and either moulded into rectangular bricks of was put into moulds and 'thrown' down to expel the air that would weaken the bricks. A good worker could throw over 700 bricks in a day. Large works stamped their logo on the bricks. Examples of these can be seen in the web site 'www.penmorfa.com' Two examples found in Wem are shown below. Most of the brickworks round Wem were small. 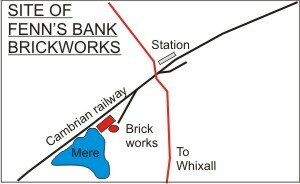 The exception was at Fenns Bank, which had extensive clay pits and a siding on the former Cambrian mainline railway- closed by Dr. Beeching in the 1960s.This works was open from 1860 to 1960 and had a 14 kiln Hoffman Kiln with a 175 foot high chimney. 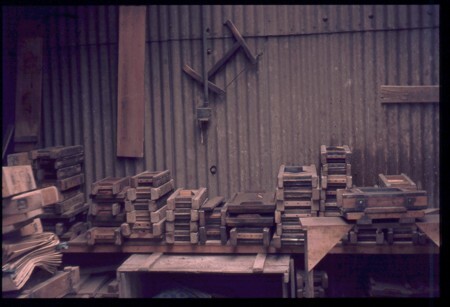 Many closed because they could not produce the mass-produced cheap bricks required by the 'building-booms' of the late 20th century.The bricks for these were largely 'Flettons', produced in the Peterborough area from clay that contained carbon. These required far less coal for firing and were thus cheaper to produce. they could also be transported in bulk by rail. 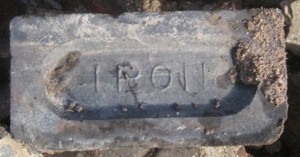 Large quantities of bricks also came from Ruabon where extensive clay deposits allowed for larger works. Major town buildings, such as the Morgan library, were built of Ruabon brick.